The Mobile free thrift center will be open tomorrow (Feb. 27th) from 11 am to 4 pm at the First Presbyterian Church in Watford City, 3 1/2 blocks east of Carquest. If you are in need of basic items for your living quarters come see us, we’d like to help. If you know of others that have a need please pass this information on. Thanks! Pass the word along… The Mobile free thrift center will be open tomorrow, Feb. 18th from 2 to 4 pm. 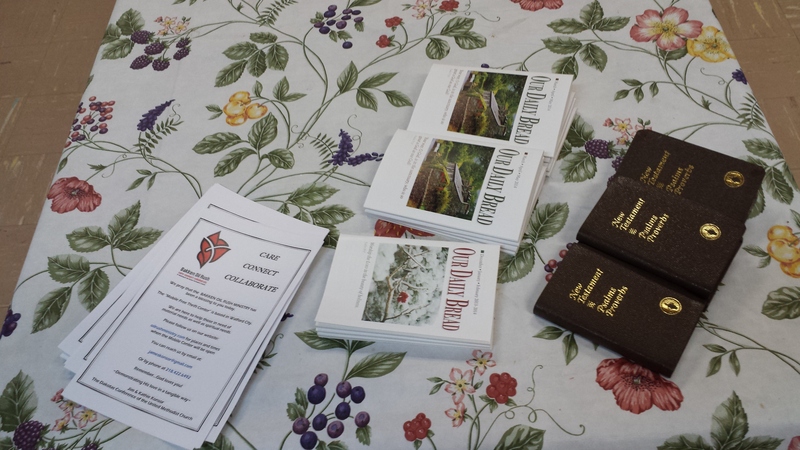 at the First Lutheran church in Watford City, ND. If you are in need of items for yourself or your family, please come see us. 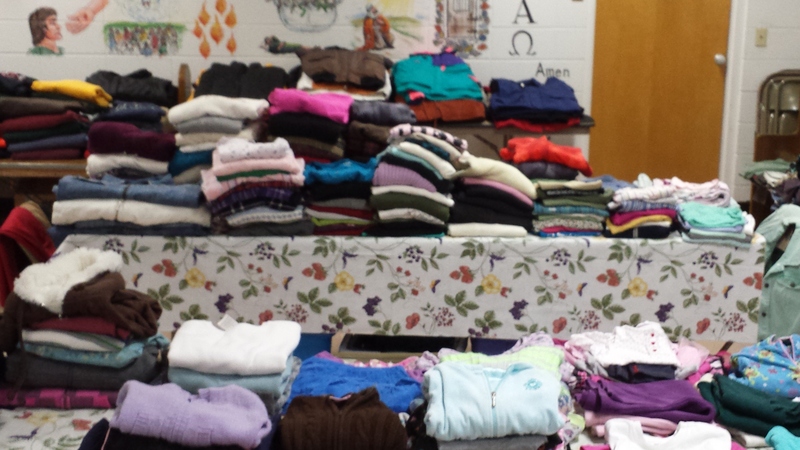 We have clothing, blankets, winter wear, and some kitchen items. Come see us, we would love to help you if we can. 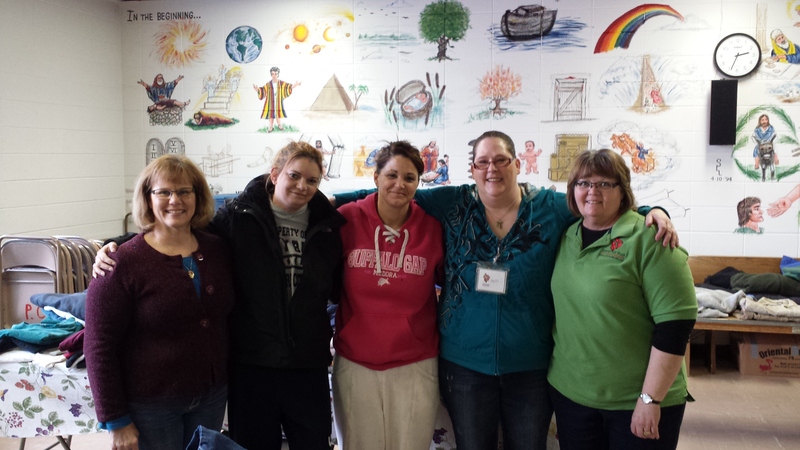 Kathy, two gals who came looking for help, Beth and Kathie on the right end. Kathy, Beth, and Kathie were the helpers who were able to help 21 different families meet needs in their household this last week. 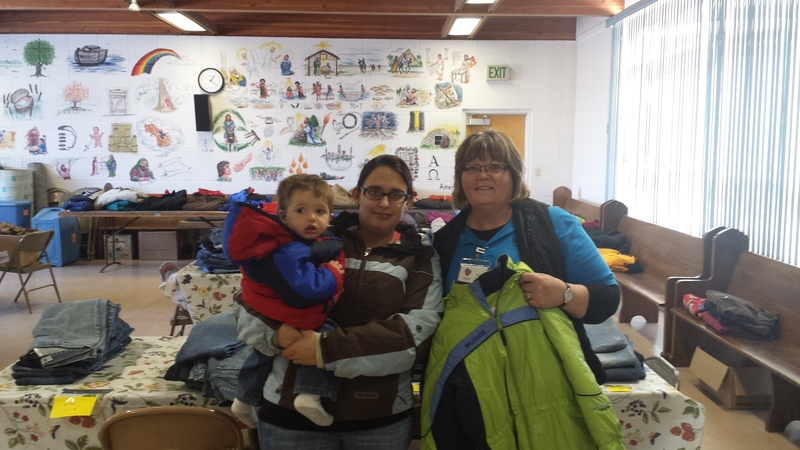 We helped with coats, boots, caps, gloves, blankets, heaters, sweaters, shoes, pants, pots, pans, dishes, silverware, towels, bedding…the list goes on. The good news is that we had the goods to help these families. In addition to us helping others, a number of people stopped by to donate to us. They donated more goods for our mobile free thrift center and also over $800 in cash donations. Our hearts are full of gratitude for God’s goodness, the people of this area and those from a distance that have reached out to help us. Today we received a box that contained 15 brand new hooded sweatshirts, a item we are constantly running out of. Thank you folks from the bottom of our heart!